Add new tracking carriers with custom tracking URLs in Magento, disable default tracking methods and make tracking links in emails clickable for your customers. All using the Custom Carrier Trackers extension by XTENTO. Out of the box, Magento offers just four tracking methods: DHL, UPS, USPS and FedEx. That's often not enough. 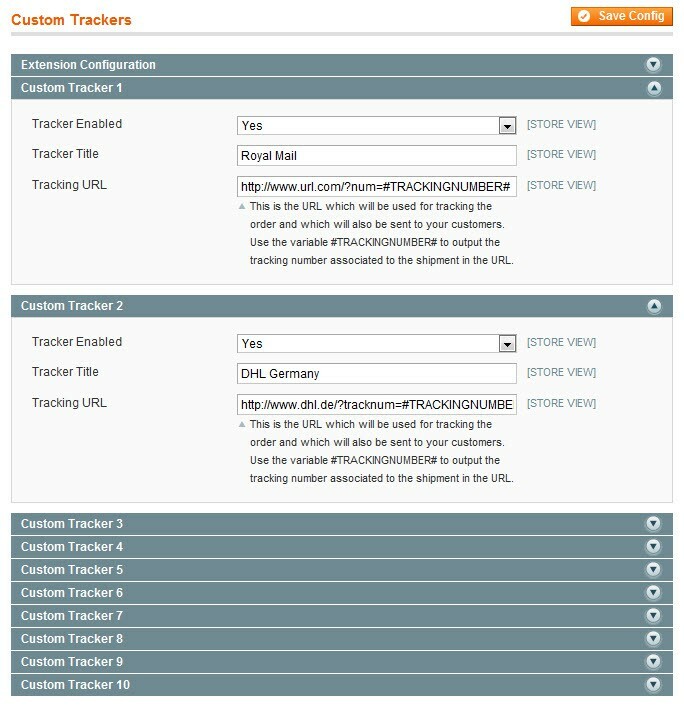 In case you want to add custom tracking methods to Magento, because you're shipping using a custom carrier and want your customers to be able to track their orders shipped using these custom carriers, this is the extension you're looking for. This extension gives you the ability to set up 30 new tracking carriers in Magento. The carrier/tracking name and the tracking URL is fully customizable and configurable. Each tracker is fully customizable, easily change the name and tracking URL as required. Includes more than 30 tracking links of popular carriers. See below for full list. In addition to adding tracking numbers in the Magento backend, you can also add tracking numbers via the API and your custom tracking link will be used. Emails sent to customers include a clickable tracking link, directing them straight to the carriers tracking page. Want to disable DHL/UPS/USPS/FedEx? No problem. Just disable them in the extensions configuration. 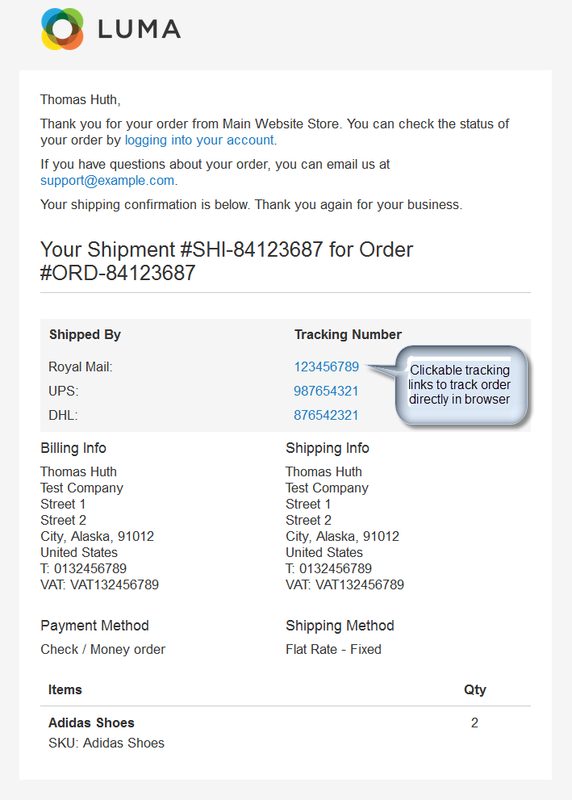 "Track Order" in customer account section shows a clickable tracking link as well. 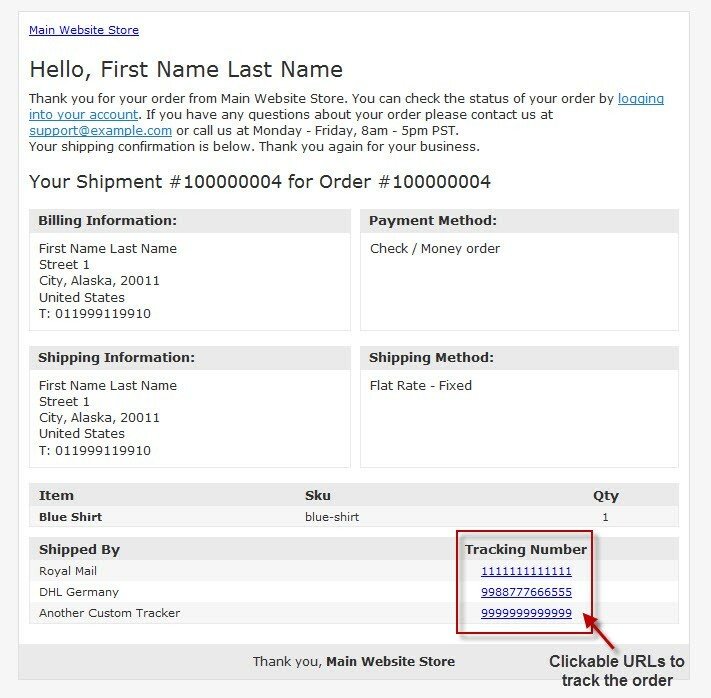 The tracking number gets replaced in the tracking URL automatically, just use the #TRACKINGNUMBER# variable and the actual tracking number will show up in the tracking URL. 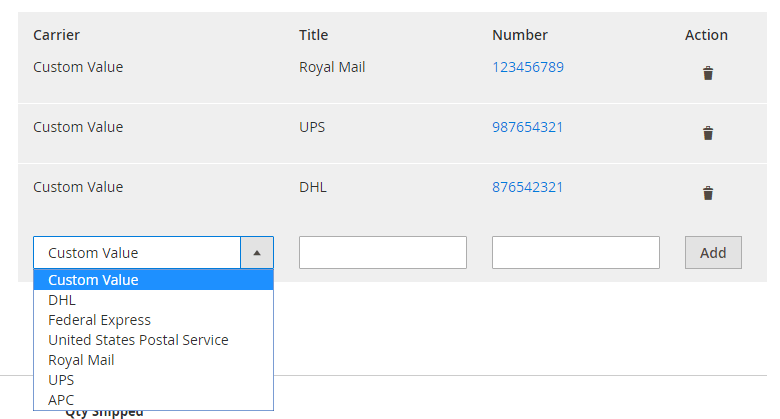 It is also possible to output the recipients postcode in the tracking URL by using the #ZIP# variable. No need to use the non-trackable default "Custom" tracker anymore. By setting up the carriers tracking URL, you will give your customers the ability to track their orders directly from the shipment email they receive. This very important feature does not work out of the box in Magento. It is also possible to disable and hide all or some of the default Magento tracking methods (UPS, USPS, FedEx, DHL) using this extension. ...and many more - updated frequently. Not sure if your carrier supports dynamic tracking URLs? Looking for the tracking link? Get in touch, we'll be happy to help. This extension is also compatible with our Simplify Bulk Order Processing and Tracking Number Import extensions. 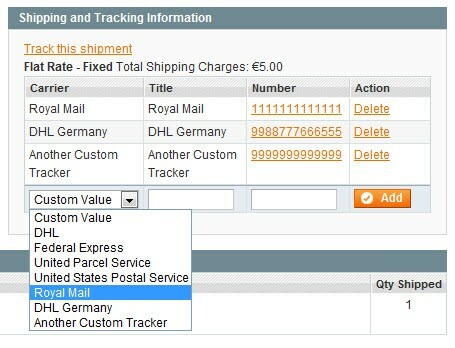 Custom tracking methods added using this extension can be used for bulk shipping and imported tracking numbers. This extension works very well; it’s flexible with enough of options to setup many carriers. This module makes adding any trackers fast and easy. Self-explanatory operation so there was no need to request support. Highly recommended. Worth every cent! I also received a fast and good service from Xtento. + The Custom Carrier Trackers extension has passed the Magento code review and is now a certified extension. [Prepared Feature, added in 2.0.4]: Magento email templates now use our track.phtml template without overriding it in the theme folder. This is done using a plugin for the email filter class. However, this is not enabled yet, as it depends on a Magento core fix. Will update. 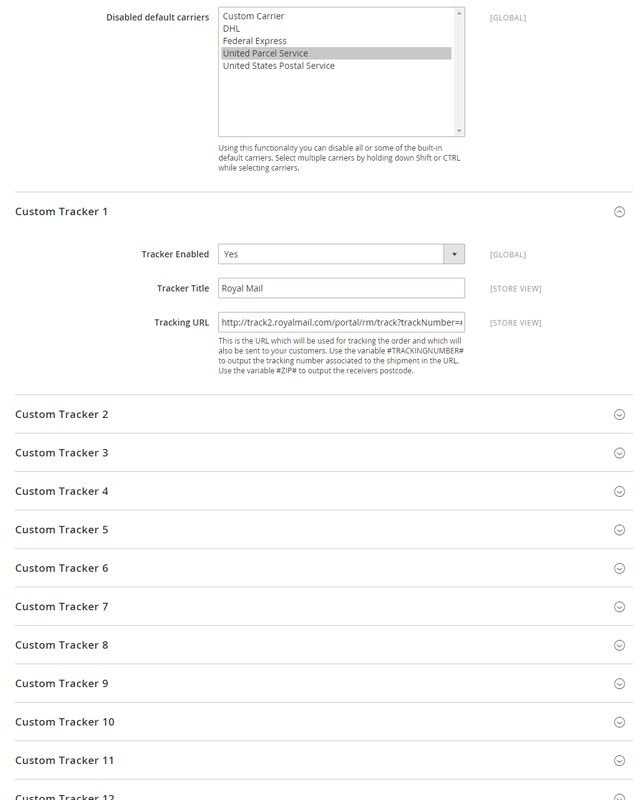 * Magento Marketplace Update, implemented "prepared feature", added in 2.0.4 (see above), removes necessity of overriding themes track.phtml template.